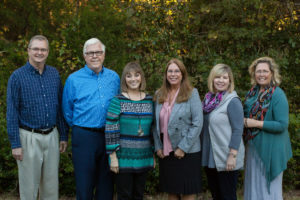 Christian Counseling Associates of Raleigh is proud to serve couples who live Asheville, the largest city in the western part of North Carolina. Asheville is the center of the metropolitan area that includes the counties of Buncombe, Haywood, Henderson, Transylvania and Madison. The region is known for its striking natural beauty. The Blue Ridge Mountains set the tone for a friendly environment that attracts large numbers of tourists and arts events. At Christian Counseling Associates of Raleigh, we believe that geographical borders should never obstruct access to our ability to provide marriage counseling services, because we understand the value of a great marriage and the impact it has on every life it touches. For residents of Asheville and nearby communities such as, Hendersonville, Waynesville, Brevard, Biltmore Forest, Weaverville, Montreat and Black Mountain; even extending as far as Erwin, Boone and adjacent areas in upstate South Carolina and eastern Tennessee, we are happy to help you make arrangements to benefit from our services.